How to activate iPhone? 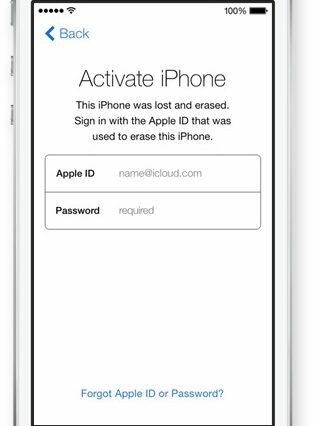 If you have got a new iPhone and want to activate it but do not know how, then this is how you do it. Step 1: You have to insert a sim to start using your cell phone. If you got it from a carrier you can skip this step. When you turn it on, you will see a message saying “Hello”. If you are just opening it from a box and bought from the store, you will have to buy your SIM card. Start by sliding because that is how you unlock an iPhone. Select the Language such as “English “and country such as “United States”. Later on attach a router to use Wi-Fi. Step 2: It is time to select the Wi-Fi network and connect to your phone. Since, you have SIM card you can opt for cellular internet data. You have to set up the location services. There are three options where two of them asks for backups. You can select the first one if you have a new iPhone with no links at the iCloud and iTunes. Step 3: After that you will have to either make an apple ID for free or sign in with your current one. Read the terms and conditions and press “Agree”. Wait few minutes while it sets up your Apple ID. You can take advantage of iCloud or you can skip it. Press on the first option that gives you access to iCloud. Select the first option and wait while the iCloud settings are loading. Step 4: It is time for Touch ID and you can either set it up now or later. Put your finger on the home button. Do not press it roughly. It is time to fix your grip. You can stop when you get the “Success” notice. You can make a password like 1212 or 3355. You can use Siri if you want to. Step 5: If you are willing to use iTunes then get the newest version in your PC. You can use iTunes no matter what kind of PC you have. Apple computers already come with the iTunes. Connect the phone to the PC using the data cable. iTunes does not require any clicking and it begins by itself. If it does not click on the box that appears on the desktop. Step 6: You can restore from a backup or set up as new, as stated above. Click on Sync to synchronize. If you are seeing errors, it can be for many reasons such as the phone is on Flight Mode. If that does not work, reset your SIM card. Connect to the computer properly using a data cable. Contact your carrier if problem still persists. You will have to wait while the process of setting up goes on. You are not supposed to face any trouble if everything is in correct order. Step 7: Make sure you are not deleting important data like phone number or your old photos. You can visit the official website of Apple to know more about taking care of it and the different models. You can get help from there. This entry was posted in Internet on October 18, 2017 by Tom.